A couple nice videos of 2 of America’s strongest female climbers posted over on Deadpoint Magazine to help get you psyched for your weekend. 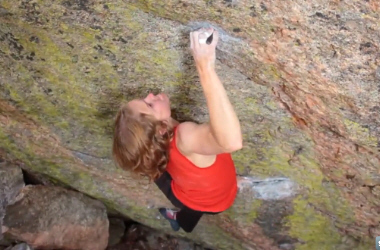 Most recent is the video by John Dickey of Angie Payne on her FFA of No More Greener Grasses (V12) at Mt. Evans and the other features Alex Puccio on her repeat of Diaphanous Sea (V12) in Hueco Tanks.